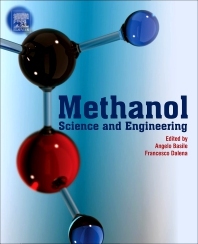 Methanol: Science and Engineering provides a comprehensive review of the chemistry, properties, and current and potential uses and applications of methanol. Divided into four parts, the book begins with a detailed account of current production methods and their economics. The second part deals with the applications of methanol, providing useful insights into future applications. Modeling of the various reactor systems is covered in the next section, with final discussions in the book focusing on the economic and environmental impact of this chemical. Users will find this to be a must-have resource for all researchers and engineers studying alternative energy sources. 3. Fossil or Renewable Sources for Methanol Production? Dr. Angelo Basile is a chemical engineer and senior researcher at the ITM-CNR, where he is responsible for research related to both ultra-pure hydrogen production and CO2 capture using Pd-based Membrane Reactors. Dr. Basile serves as an associate editor and editor-in-chief of two international scientific journals and has participated in various national and international projects on membrane reactors and membrane science. Since 2014, Dr. Basile has been a full professor of chemical engineering processes. Francesco Dalena a European PhD, specializes in chemistry of advanced materials at the University of Calabria (Italy). His research field ranges from the bioenergy sector and inorganic membrane reactors to chemical kinetics. Dr. Dalena serves as a member of the editorial boards of two international scientific journals. Recently he was involved in a project concerning the functionalization of cellulose fibers that produced a patent.